21st Century Fox already owns nearly 40% of Sky but wants it all. SKY HAS RECEIVED a takeover approach from 21st Century Fox as Rupert Murdoch makes a second tilt at the European pay-TV broadcaster to create a global media giant. The company said in a statement it had agreed on an informal offer of £10.75 per share from the Murdoch-controlled US media-entertainment group. The deal values London-listed Sky at £18.5 billion (€21.8 billion), but it stressed there was no certainty of a firm offer. Sky broadcasts the 24-hour Sky News channel, blockbuster movies and English Premier League football, and also provides Internet and telephone services. The takeover news, published late on this afternoon, sent Sky’s share price soaring by a third before settling to close at exactly £10, up 26% from Thursday’s closing level. “The independent directors of Sky plc note today’s share price increase, and announce that Sky has received an approach from 21st Century Fox, Inc,” Sky said in the statement. After a period of negotiation… Sky and 21st Century Fox have reached agreement on an offer price of £10.75 per share in cash, less the value of any dividends subsequently paid by Sky. Don't forget @BBC has 70%+ of UK TV Radio and online news market and nobody seems to think that's a problem. In a separate statement in New York, 21st Century Fox confirmed it had “reached an agreement in principle in relation to a possible offer” for Sky. The media giant argued it was seeking to create a global business that benefits from 21st Century Fox content and Sky’s pay-TV capabilities. The US firm stressed it had long regarded its 39.1% stake in Sky as “not a natural end position” for its overall strategy. It added: “A proposed transaction between 21st Century Fox and Sky would bring together 21st Century Fox’s global content business with Sky’s world-class direct-to-consumer capabilities, which have made it the number one premium pay-TV provider in all its markets. It would also enhance Sky’s leading position in entertainment and sport, and reinforce the UK’s standing as a top global hub for content generation and technological innovation. The price represents a premium of 40% from Sky’s closing share price level on Tuesday, the day before the initial proposal was made. Sky said it has formed an independent committee to consider the proposal as it looks to protect the interest of shareholders. The firm announced in October that sales rose 5% in the first quarter, driven by growth in Germany and Austria. Back in 2011, Murdoch was forced to abandon a takeover of Sky, then known as BSkyB, as controversy raged over the hacking of celebrities and crime victims by his tabloid the News of the World, which was subsequently shut down. Murdoch’s son, James Murdoch, became Sky chairman in January. He had previously served as chief executive between 2003 and 2007. In late 2014, Sky changed its name from BSkyB after completing the purchase of Sky Italia and a majority holding in Sky Deutschland, in a move which created a pan-European pay-TV titan. 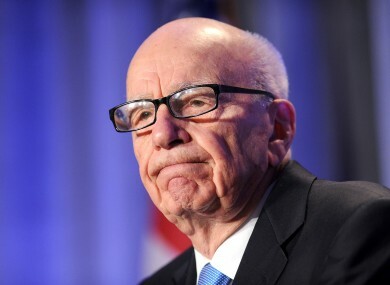 Email “Rupert Murdoch's Fox launches €13.4bn bid to finally get their hands on Sky”. Feedback on “Rupert Murdoch's Fox launches €13.4bn bid to finally get their hands on Sky”.